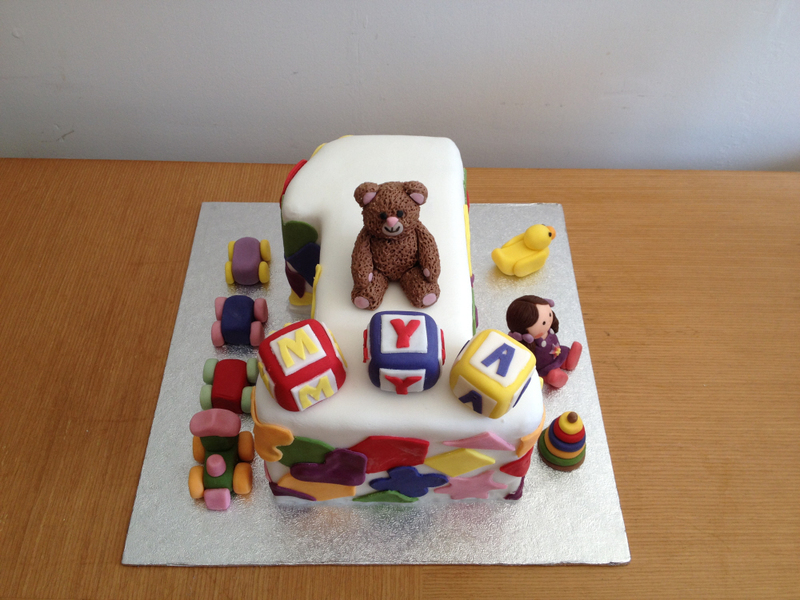 vanilla flavoured rainbow sponge in the shape of a 1 and decorated with colourful shapes around the edges and lots of toys. Made to feed 20 people. Everything hand made by me and 100% edible as usual.